Short Term Missions - To Love a Child, Inc. Please Join Us! Scroll down to see our volunteers in action! Download an application so you can travel with us too! The gift of presence is very important to us and the people we serve. To Love a Child develops long term relationships--we love to watch the children grow and thrive! Teams members are all volunteers and pay for their own travel expenses. 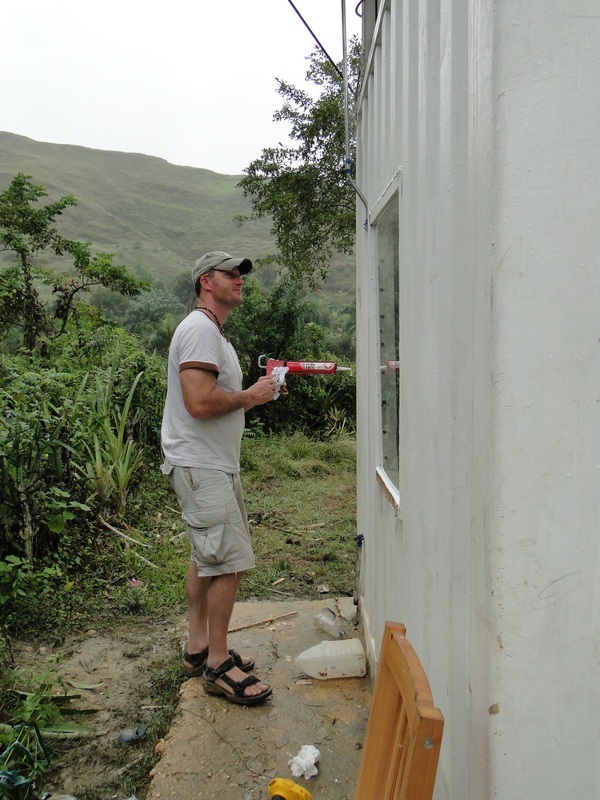 Missions vary from 7 to 14 days in length depending on the project and the location. We need team members from all backgrounds that are willing to share their skills and expertise. If you are interested in more information please contact us: directoratTLC@aol.com. Check out who has joined us previously. Goals: Maternal health program, classroom programs with teachers and students, agriculture development, water project maintenance, kitchen classroom and providing a day long adventure for orphans to the National Museum of Haiti. Goals: Maternal health program, classroom programs with teachers and students, agriculture development, water project maintenance, kitchen classroom and providing a day long adventure for orphans to the beach. Goals: Distribution of supplies to families, maternal health program, classroom programs with teachers and students, agriculture development, water project maintenance, evaluation of children with special needs and an outing to the beach with the orphans. Goals: Maternal health program, nutrition programs with students, distribution of saddle pads and deworming of horses and donkeys, deforestation education, installation of latrines, handwash stations and clean water unit. Goals: Health exams, maternal health program, nutrition programs with students, first-aid training with families , planting fruit trees, distribution of saddle pads for horses and donkeys, deforestation education, prepare cement pads for latrine and clean water projects. Goals: Blood pressure clinic, distribution of supplies to families, maternal health program, classroom programs with teachers and students, first-aid training with Scouts, & agriculture development. Goals: Solar and eletrical updates and improvements, medical exams, maternal health and infant development seminar, health seminar on anemia, agriculture projects, latrine project, programs with teachers and students. Goals: Nursing School Graduation for Kimberly Val , meeting the new pastor, Fr. Deravil,and project planning with our new Agriculture Consultant! Goals: Day Care Center/Pre-School construction, medical clinic, maternal health and infant development program; distribution of cribs and other supplies. And, agriculture project consultation, new classroom set-up, & education meetings. Cindy Schmehl, To Love a Child, Inc.
Cindy Schmehl - To Love a Child, Inc.
Teresa Brobston and children at the orphanage make no-bake cookies! Packed and ready to head out to Rantlamouaie! 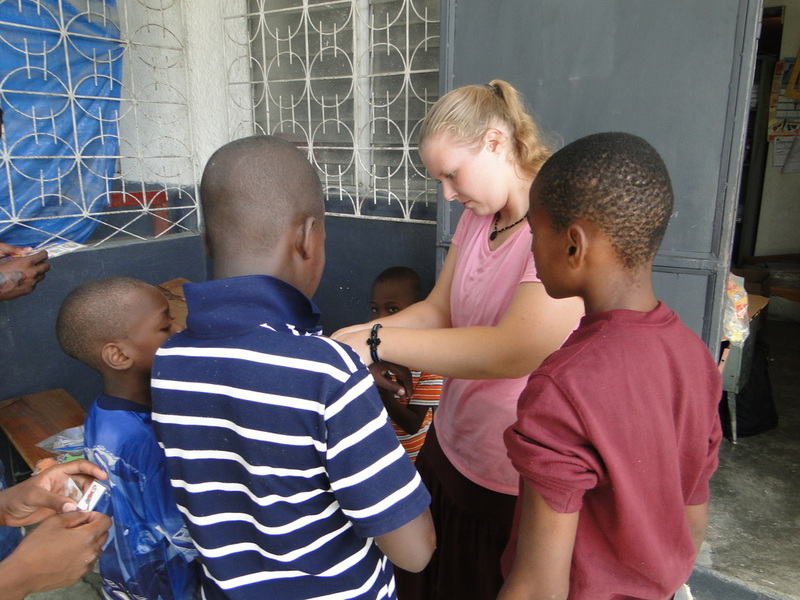 Amanda Underhill spends special time with a child at an orphanage. Edge Bagg serves a hot lunch to students. Tim Schmehl sharing laughs at an orphanage. Dean Collum holds a child in the Infant Development Program. 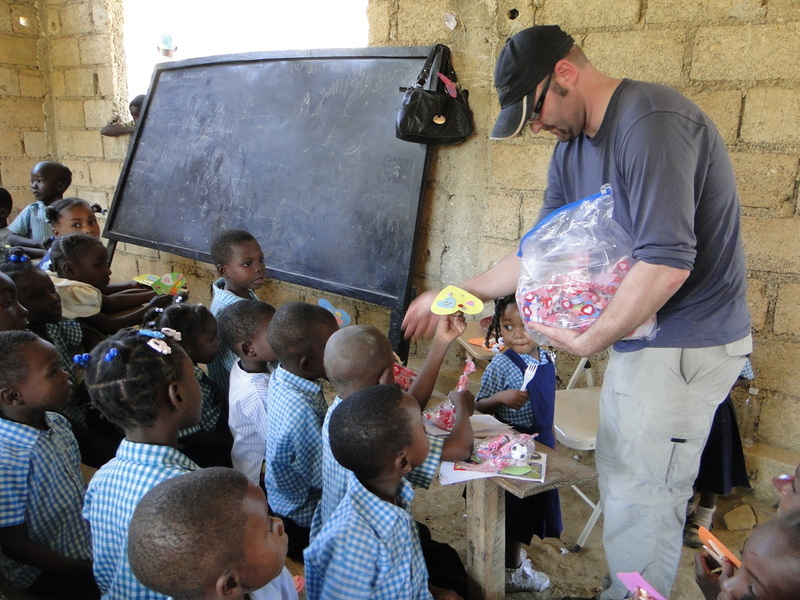 Nelson Lim distributing sweets to the children of Rantlamouaie. Professor Michael Jensen making friends along the trail. Daniel Holenda painting the patient ward. Deacon Scott Underhill holds Moise from the Orphanage of Good Will. Theresa Hayes helps distribute pj's to over 55 children. Michele Brobston spends quality time with the "girls" doing art projects. Virginia Touhey gives a knitting lesson in Zimbabwe. Andrew Chung works on the patient ward in Rantlamouaie. Dylan Martinez installs solar panels. David Hackett at the Orphanage of Good Will. Chris Warmann at the Orphanage of Good Will. 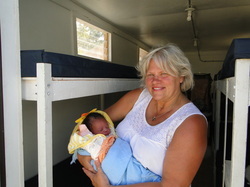 Heidi Brewer cares for an orphaned infant. Dr. Maribeth Wallingford gives out lots of hugs. Jeannie Ballard works with the Scouts on a craft project. 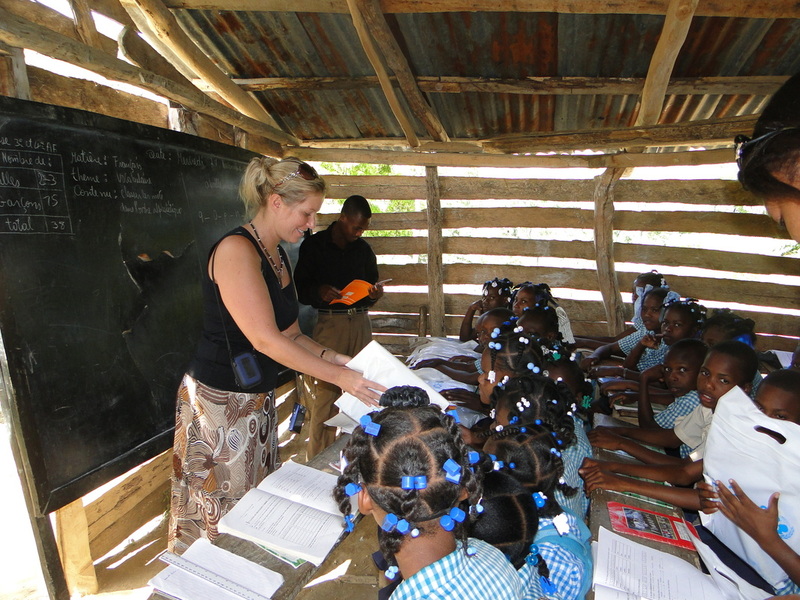 Anne Swanda conducts a personal hygiene seminar with students.